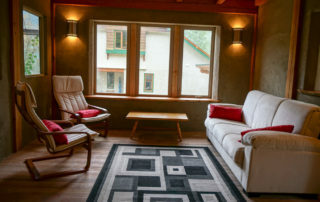 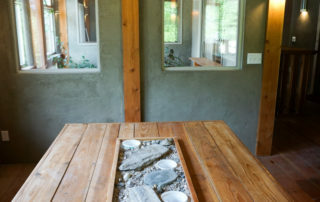 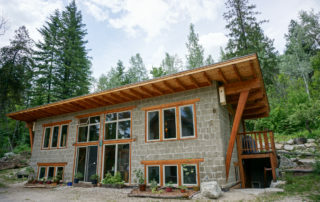 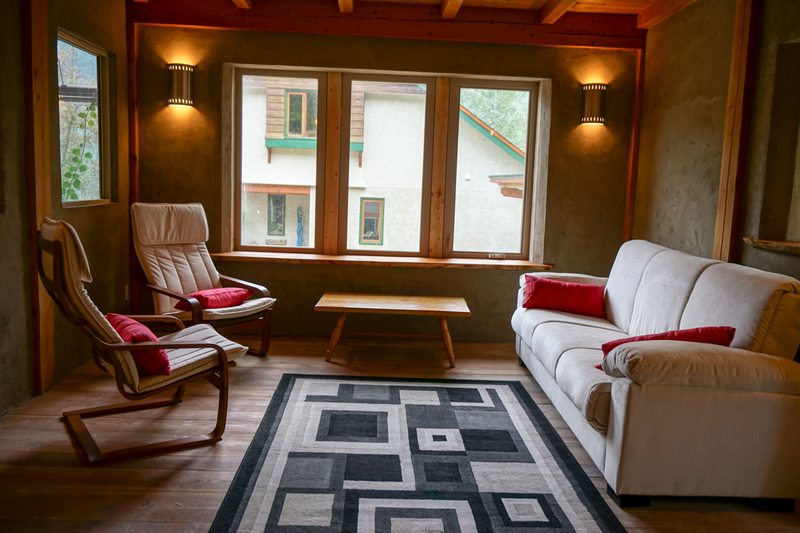 The Bee Inn at Snow’s Vacation Rentals is a modern natural building completed in 2017. 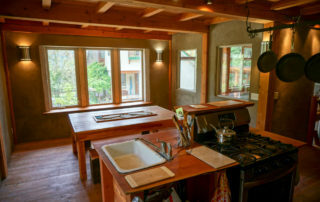 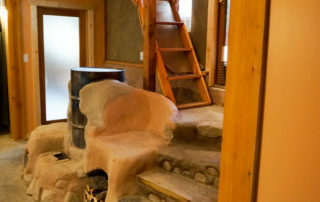 The house is built from adobe bricks made on-site, and features active and passive solar heating, a green roof, and a built-in greenhouse. 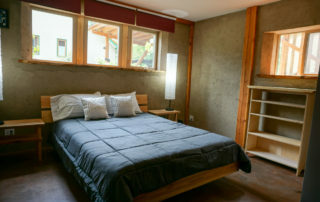 The Bee Inn has 2 bedrooms and a sleeping couch. 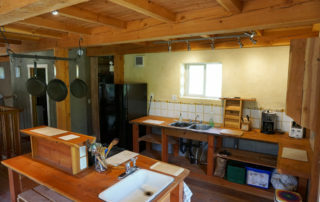 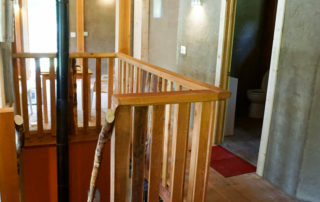 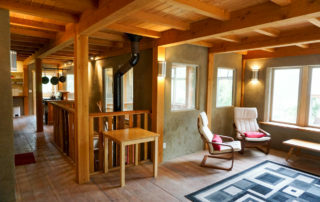 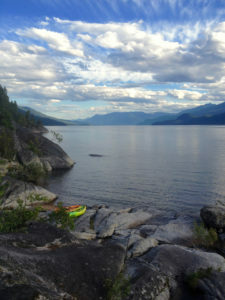 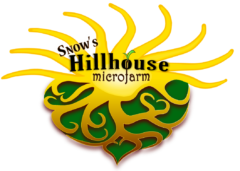 The house is on the same property as the Hillhouse Vacation Rental, and shares the amazing garden, sauna, and forest access just 15 minutes from Nelson. 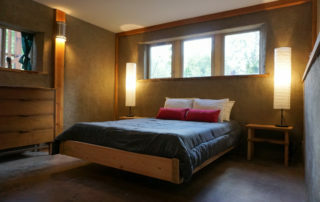 Honey Room & Nectar Room: New queen-size beds with custom furniture.